The Woodlawn Precinct reminds drivers to avoid vehicle thefts. There are many ways to keep your vehicle safe. Here are a few suggestions. Never leave your keys in your vehicle when it's unoccupied. If a thief steals your vehicle with the keys inside, they may have the keys to your home as well as another vehicle. Never leave valuables or any packages visible inside your vehicle. Park in busy, well-lit areas of parking lots. Never leave your vehicle running unattended. Vehicles are commonly stolen when the driver gets out at ATMs, convenience stores and gas stations. Also, many vehicles are stolen on cold mornings when the owner leaves the vehicle running to warm it up. It is against the law to leave a vehicle running unattended. You could face a $70 fine and a one-point violation. Remember to call 911 if you see anyone attempting to break into a vehicle. Do not intervene. Call 911 and provide as much information about the suspect as possible. Are you going out of town? Don't leave your home looking unoccupied. Complete a Vacant House Form and email it to the precinct's Community Outreach Team. Officers will then check on your location for any unusual activity while you are away. Read news updates from Precinct 2 - Woodlawn. 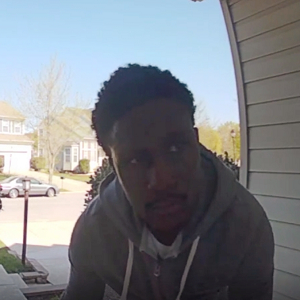 Do you recognize this package thief? He committed a 4th degree burglary when saw a package on someone's porch in the 7500 block of Heatherfield Drive last Tuesday. Watch the doorbell surveillance video as the suspect first walks away to make sure no one is watching, then walks back to the porch and steals a large package from the front steps. This suspect likely lives in the area where he committed this burglary and theft as he approaches and leaves the area on foot. If you may have seen this man walking around the area with a large package, or if you recognize this thief and can help identify him, contact Officer Vitacco at the Woodlawn Precinct by calling 410-887-1340. Help us stop this thief before he steals something from YOU! Sometime between 1:14 and 2:46 a.m., two unknown suspects entered the victims' property and stole a motorcycle from the porch. Officers were able to locate the stolen motorcycle and return it to its owner. At 10:30 p.m., the known suspect assaulted the victim during an altercation. The suspect then stole cash from the victim and fled the scene. View the Local Blotter for the Woodlawn Precinct for the latest news on crime in your area. Captain Wes Fischer has been a member of the Baltimore County Police Department for over 22 years. During that time, he has served in the Wilkens, Essex and Woodlawn Precincts as well as in the Criminal Investigations Bureau. Captain Fischer was previously the commander of the Vice Narcotics Section. Captain Fischer looks forward to working with the community to ensure the Woodlawn Precinct continues to be a great place to live and work.